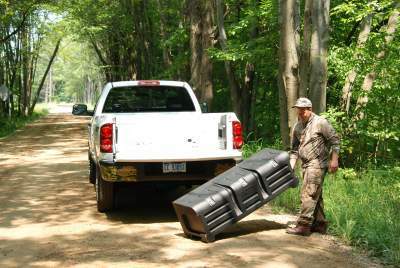 Stop straining to get your tools or other cargo out of your cab mounted tool box or truck bed! 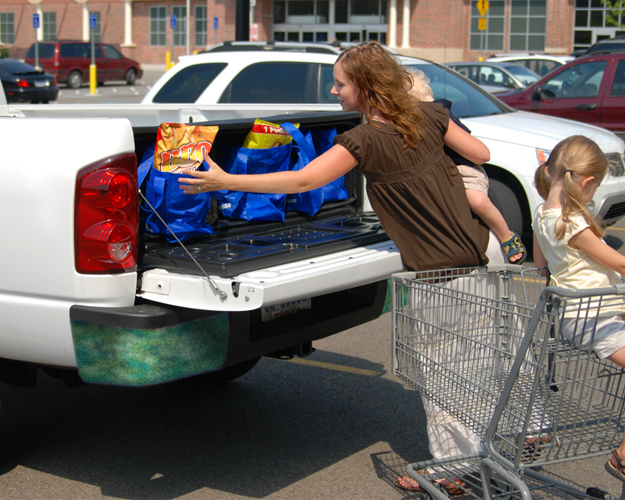 Easily reach the rear-mounted storage from your AeroBox large capacity truck box. 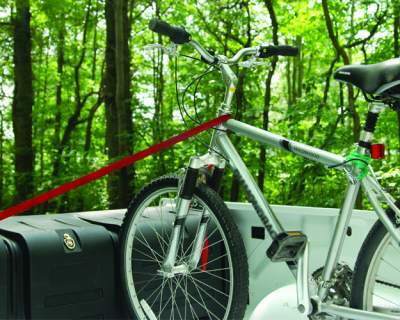 Take your Aerobox portable truck box on a stroll to your campsite, boat, sports field, worksite, or wherever you need you stuff to go by simply undocking your Aerobox and wheeling it away with the built in handle and wheels. 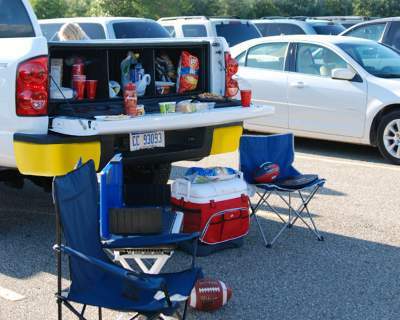 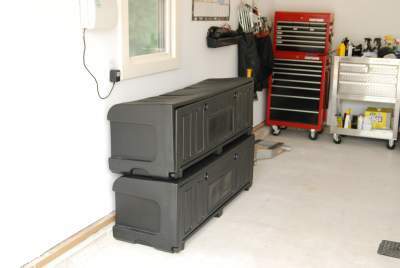 No more messy truck beds! 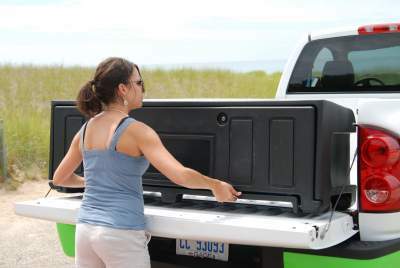 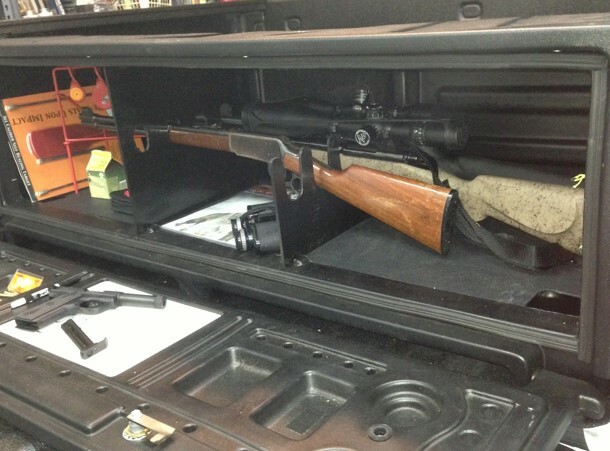 No more straining to access your stuff from the truck bed! 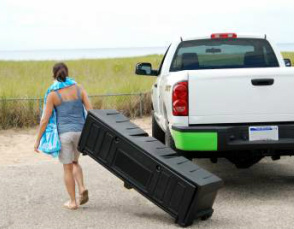 AeroBox undocks from your truck, then can be securely docked back in with ease! 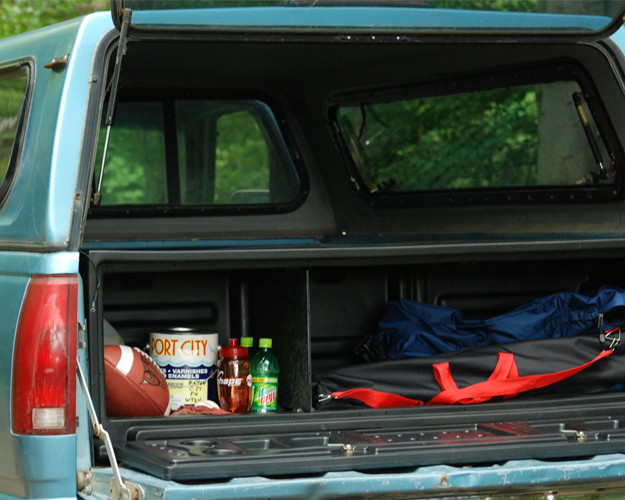 Take all your things with you at once!